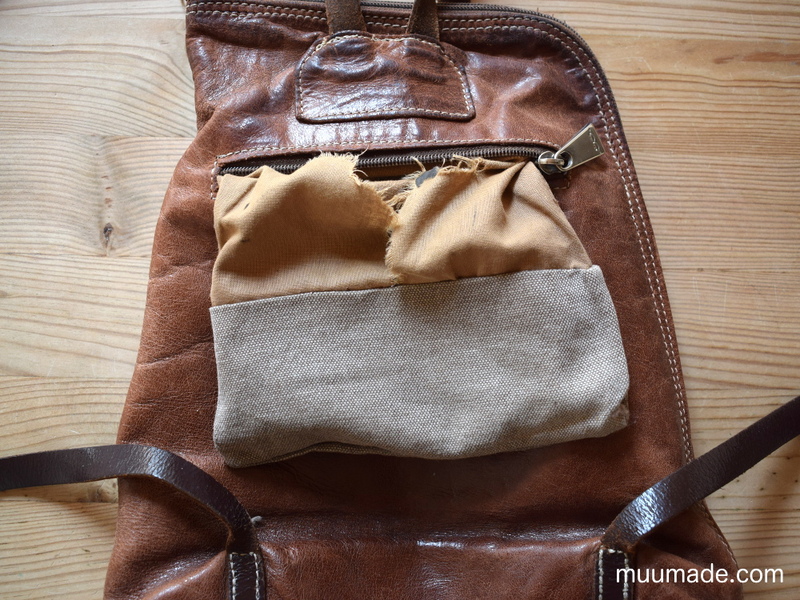 This post is about how to fix a bag’s lining and pockets. 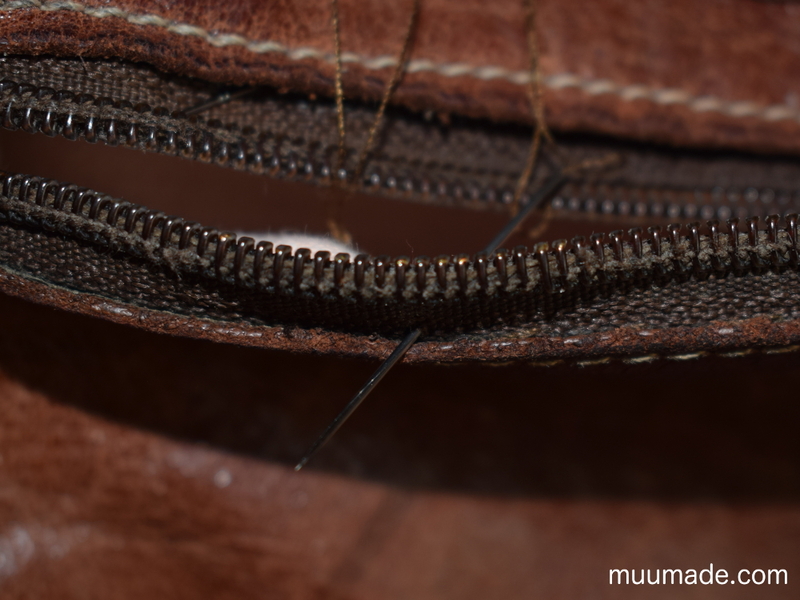 Below is what I did to fix the pocket of a bag, but similar techniques can be used to fix linings as well. My old leather backpack has a pocket with a zipper. But, as shown in the photo above, the fabric of the pocket got ripped after years of storing keys, cell phones, candies, etc.. The image above shows the pocket pulled inside out. As you can see, I had already reinforced the bottom half of this pocket previously. 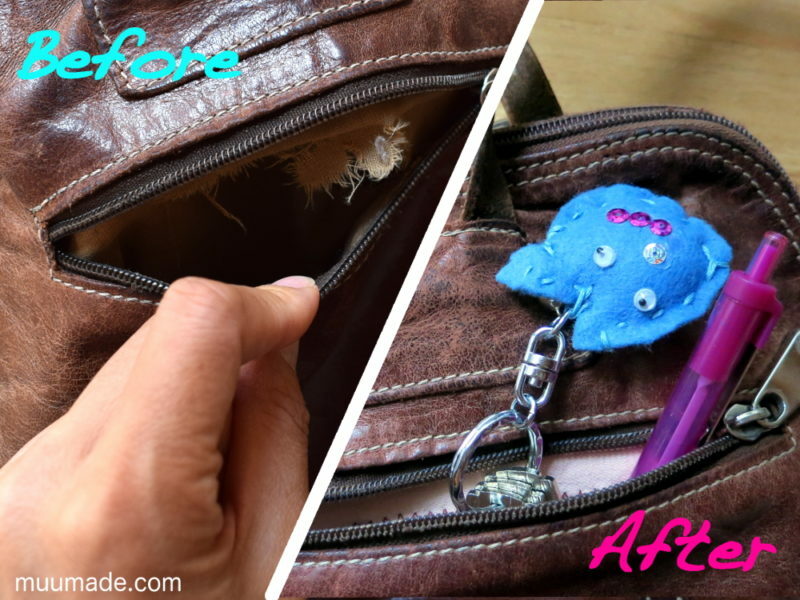 That partial reinforcement method works well if the tear (or the damaged part) is small and is in an easy place to cover with new fabric. If that is not the case, I recommend that you replace the entire pocket or lining, as described below. 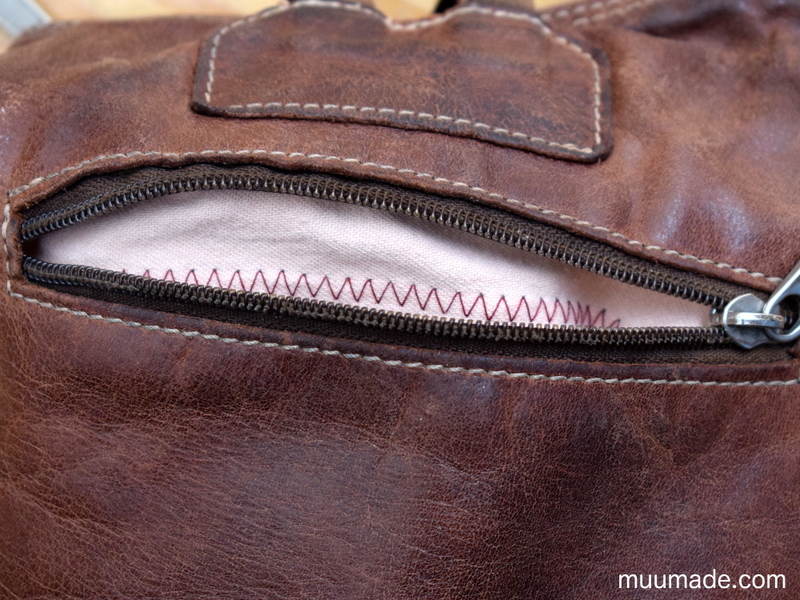 To replace a fabric pocket or lining, the first task is to remove it carefully. 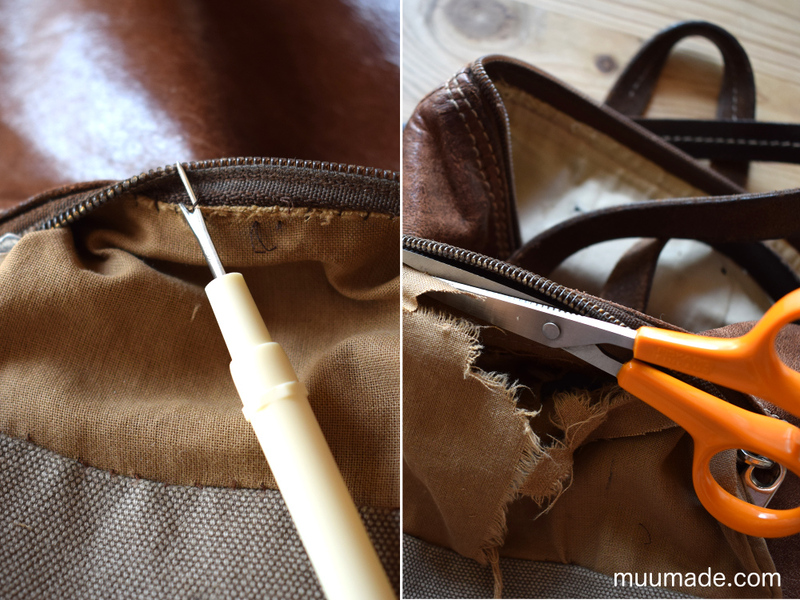 If you can unstitch it without unstitching the bag itself, use a seam ripper (the image on the left in the above photo) to remove the stitches around the pocket or lining. If not, I suggest that you use scissors to cut it out as close to its edges as possible (the image on the right in the photo above). Then, cut out a replica of it from new fabric. When selecting the fabric, I recommend that you choose something thick, such as canvas. If you have any thick discarded clothing, this is a great opportunity to upcycle it. 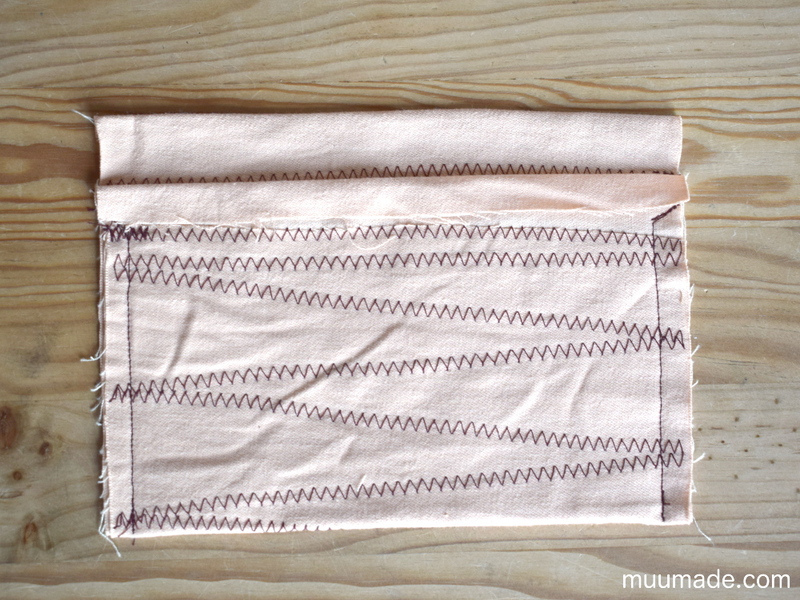 If you don’t have any heavy fabric handy, you can sew two layers of thinner fabric together, like I did with the pale pink fabric shown in the photo above (thus the zigzag stitches!). Once you have the new fabric cut out, sew the edges of the new pocket/lining in the same way as the old one, leaving only the seams that are to be attached to the bag. In my case, I sewed the two sides of the pocket. After sewing, you do not need to turn the pocket/lining inside out; leave it so that its seam allowance is on the outside. 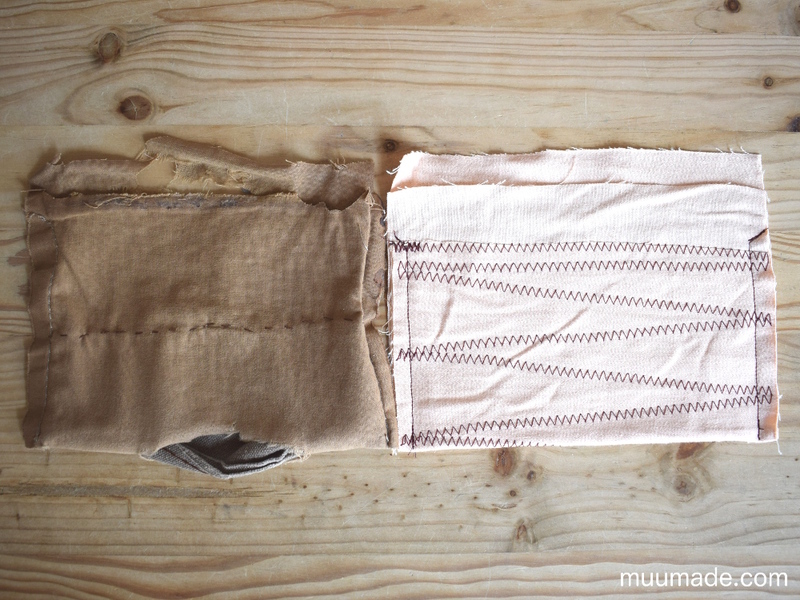 Now, make folds along the edges that are to be attached to the inside of the bag. As you can see in the above photo, I folded one top edge higher than the other. The distance between them is the same as the width of the zipper of the pocket that I am repairing. Insert the pocket/lining into the bag, and pin its edges to the inside of the bag where you want to attach it. Then, sew it onto the bag by hand. 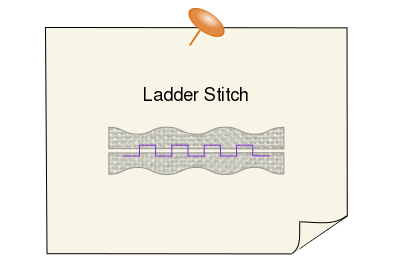 Use thread in a color that matches the area of the bag where the stitches will be made. 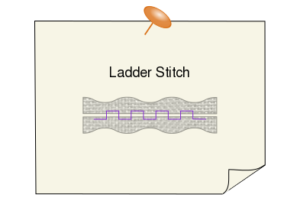 Make the stitches as close to the seams of the bag as possible so that they blend in with the existing stitches. 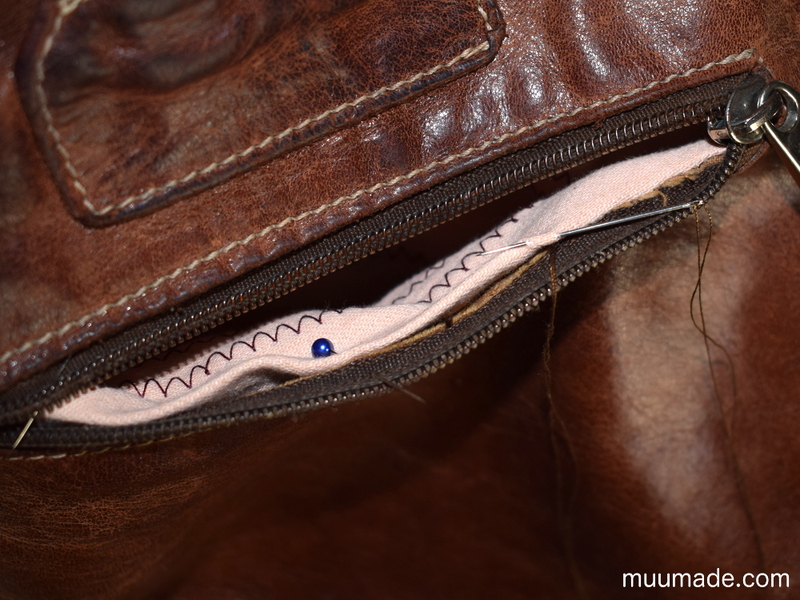 Make the stitches that are visible on the outside of the bag as small as possible. Ta-da! My backpack now has a new pocket! 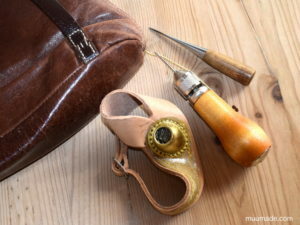 If you also need to mend the leather straps of your bag, you may be interested in my post on Repairing Leather Straps.